Hamilton First Aid is the largest and most popular St Mark James training service provider in Hamilton. Getting certified for first aid, cardiopulmonary resuscitation (CPR), and automated external defibrillation (AED) training has never been easier! Once a training course is completed, trainees are awarded a workplace approved certificate, valid throughout Canada. Hamilton First Aid should be your first choice in looking for the training service provider for you! Training courses with Hamilton First Aid are the cheapest in the area. Enrolment fees are inclusive of taxes, certificates, and workplace approved registration fees. Training manuals and equipment are also included in the initial fees so trainees don’t have to worry about additional expenses. Trainees who are unable to complete a training course are entitled to a full refund of the enrolment fee, provided a 72-hour notice is given. The instructors at Hamilton First Aid are all certified by workplace approved. They are known for being very friendly and accommodating so don’t hesitate to ask them questions. The same can be said for the Hamilton First Aid staff. The training centers in Hamilton are easily accessible by public and private transportation, with various nearby amenities such as free parking and restaurants. Classrooms are equipped with the latest technology for first aid, CPR, and AED training so trainees get the best training possible. Enrolment is quick and hassle-free through the Hamilton First Aid website. Click here to visit the Hamilton First Aid website. The on-line application form and a complete list of class schedules can be seen on the website. 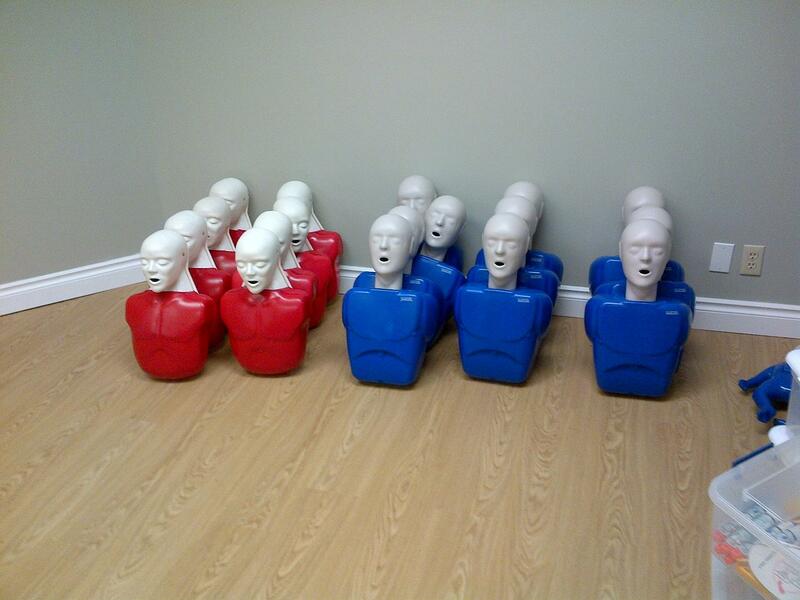 Stand-alone classes for basic first aid or CPR/AED are available. Private classes are offered to big groups, companies, or trainees with scheduling problems. Refresher courses for renewal of expiring or near-expiry certificates are available twice a week. Prior to registration participants are strongly encouraged to check prerequisites for a re-certification course. Participants in Ontario must meet the strictest re-cert requirements in Canada. Trainees who are able to complete any training course are awarded a workplace approved training certificate for first aid, CPR, and AED, valid for three years throughout Canada. The certification you will receive at Hamilton First Aid will surely meet any school or work requirements you need. Hamilton First Aid is dedicated to providing its trainees with the best learning experience possible. Enrol in a training course now!